I thought it might be nice to give you a quick study session on what I believe Canada to be. Capturing a country and its people in a few words is not an easy task, but I will speak from my impressions and experiences of living my life in Canada. Canada is the second largest country in the world bordering the Pacific, Atlantic and Arctic oceans, as well as of course the United States. This country has many souls, many seasons in one season, many nationalities within each province, many languages in each town, many foods at each supper table. The people are a blend of cultures and heritages, and this is what makes us unique. This is what makes us Canadian. This great land is also a blend of geographical characteristics. I can honestly say, no two areas look the same. From rain forests to desert landscapes, from high, rocky mountains to vast, flat prairies, from almost all day darkness to almost all day brightness, Canada has something for everyone to explore. Believe it or not, talking about the weather has got to be one of Canada's favourite topics of conversation. 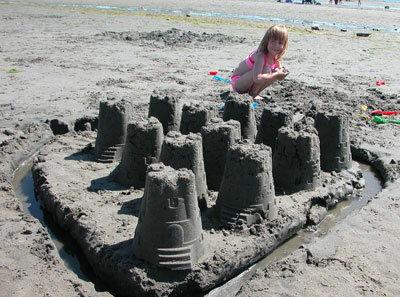 At least once a day, Canadians just have to check the current conditions as well as short-term forcasts. Of course nothing of any importance is ever planned without checking the long-term forcast. Why the facination with the weather? I don't think the weather often deters us from what we want to do, however, we do like to be prepared for the weather. We decide what to wear by the weather and make arrangements by the weather. But there is more... what better way to start off a conversation with a stranger: "So, how about that weather!?" Canadians are often said to be friendly people who will always lend a helping hand. I think this comes from the past; immigrants helping one another to survive in a new country with weather and conditions that were often not so welcoming. Canadians are quiet and usually unassuming, but when asked will have an opinion. Canadians believe in holding the past close to their hearts. The country is full of historic sites just waiting to tell the next generation or next visitor their stories from the past. Canadians have a quiet pride in their big and little accomplishments in and outside this vast land. You will usually only hear about this pride when they are honouring their past with a holiday, anniversary or special occasion. 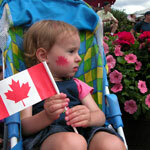 Characteristics of Canada and being Canadian can really be seen by visiting a Canadian gallery. You will find arts from the past that have not been forgotten, landscapes that impress a certain mood on the admirer, and modern creations that inspire. As with art from any country, the "home" and heritage of the artist will leave their mark on their artwork. 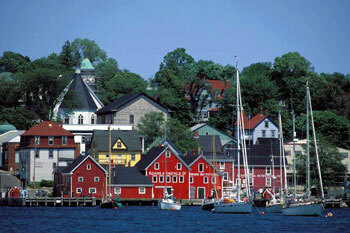 Let's begin in the Maritimes, which are the provinces of New Brunswick, Nova Scotia, and Prince Edward Island. Located on the Atlantic coast, the people are known for their kindness and strength of character. Many francophones who live there call themselves Acadians, (since they are descendants of French colonists who came to Acadia in the New World) and speak English as well as Acadian French. 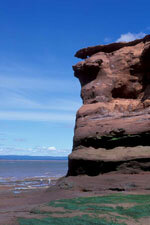 New Brunswick is known for the Acadian French culture, lobster and scallops, whale-watching and close-knit communities. The Confederation Bridge, which links New Brunswick to Prince Edward Island, is a beautiful slender bridge that spans 12.9 km. New Brunswick is the only officially bilingual province (with French and English) in Canada. Here I must also mention the Bay of Fundy with the highest tides in the world, situated between the provinces of New Brunswick and Nova Scotia. Nova Scotia is home to the Tall Ships Nova Scotia Festival, the Blue Nose International Marathon and the Cabot Trail. When dreaming of Nova Scotia, one is filled with images of Acadian dancers, fishing villages, lighthouses and of course Peggy’s Cove. 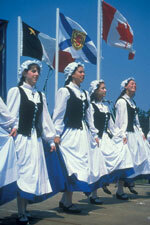 Another treasure is Cape Breton, where you can discover the Celtic culture and history of the area. Prince Edward Island is known for potatoes, lobsters, red cliffs, lighthouses, beaches and of course Lucy Maud Montgomery’s Anne of Green Gables. 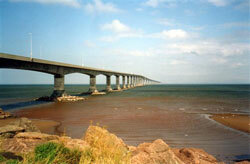 We can't forget Confederation Bridge - the longest bridge spanning over ice-covered waters in the world - which joins New Brunswick and Prince Edward Island. Next, separated from the Maritimes by the Golf of St Lawrence, is the province of Newfoundland and Labrador which is famous for its moose, its music and pure rugged beauty. These four provinces make up what is referred to as ‘Atlantic Canada’ or the ‘Atlantic Provinces’ and they are historically and culturally very tied to the fishing industry, although they now pride themselves in the manufacturing of many other modern goods. The largest of Canada's provinces, Quebec, is home to many French Canadians called Québécois and French is the official language of the province. Known for "Bonhomme" which is the Winter Carnival held in Quebec City every winter, of course its ‘maple syrup culture’, and Montreal, the city of festivals. Montreal was also Canada’s cultural and economic centre in the mid to late 1800s, playing a large role in Canada’s beginnings. Bordering Quebec is Ontario, the second largest province, home to our nation's capital, Ottawa. Known for Toronto (Canada’s New York! ), Parliament Hill, its strong manufacturing industry, and yes, Niagara Falls. Together Ontario, Quebec and the provinces of Atlantic Canada make up what we refer to as "Eastern Canada" or simply ‘back East’ if you are from the West. Manitoba, known for its ‘lake culture’, the city of Winnipeg along with Winnie the Pooh, and the northern town of Churchill - Polar Bear AND Beluga Whale capital of the world!! Many researches (and tourists!) come to watch these beautiful creatures as well as the stunning Aurora Borealis. Churchill is also home to the Hudson Bay Quest, a 400km dog sled race. Saskatchewan, known for its endless blue skies (because it is very flat with very few trees - simply beautiful) and most recently diamonds!! Saskatoon is home to Canada’s synchrotron, a source of very bright light used for scientific purposes and in Yorkton you can admire the frescoes of St Mary's Ukrainian Catholic Church. And lastly, Alberta, known for blue skies, puffy clouds, endless canola fields, the Rocky Mountains, the Calgary Stampede and of course... oil. All three of the Prairie Provinces play a large role in Canada's agricultural industry which is very evident by the many farms and ranches which can be seen as you travel around all three provinces. The air is dry and the colours of the sky and landscapes stark. Harvest sunsets are spectacular. 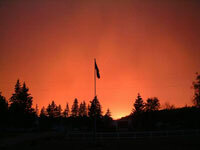 The western-most province, and the last on our list, lies on the Pacific Ocean, "beautiful" British Columbia. Here in the West we refer to it as "the Interior" and "the Coast". (As a Canadian, I guess it depends on which coast you are closest to. Do not say ‘the Coast’ to a Newfoundlander - who will understand this of course to be their coast! So, to be safe, we also call it the ‘West Coast’.) This province is so diverse - from rain forest to fruit orchards - from sunbathing to great skiing - you can find everything here. Known for trend-setting Vancouver, killer whales, totem poles, Vancouver Island, the wines and fruits of the Okanagan, blue lakes, clear rivers, wild salmon, big trees, big nature and lots of rain. Mark Bakker Together British Columbia and the Prairie Provinces of Alberta, Saskatchewan and Manitoba make up western Canada or what we Canadian refer to as 'the West'. And finally onto Canada's three territories: The Northwest Territories, Yukon and as of 1999, Nunavut make up Canada's North and with that comes a culture of surviving and thriving with nature. Known for their endless summer days and dark winter months, as well as their stunning Northern Lights, many visitors come to enjoy the summer and fall of the North as nature tries to fill the few warm months with as much beauty as it can. 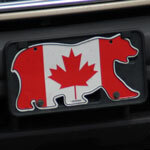 The Yukon is best known for the 1898 Klondike Gold Rush and Dawson City as well as breath-taking Kluane National Park. The Northwest Territories have recently been celebrated for their diamonds, but are also known for their aboriginal culture, gold and natural gas as well as Nahanni National Park Reserve, a UNESCO World Heritage Site. Nunavut, which means ‘our land' in Inuktitut (the language of the Inuit), is primarily made up of Canada's Inuit population. It is known for Ellesmere Island, its unique displays or artwork, and diamonds. Now that you have an idea of how vast Canada is, you can also see the dilemma Canada’s first Prime Minister, Sir John A. Macdonald, was faced with: how to keep this large and diverse country, with many peoples and languages, together under one name and one governing power. His solution? The Canadian Pacific Railway, which in its beginnings went from Montreal, Quebec in the east to Port Moody, British Columbia in the west. At first it was considered an absurd idea and impossible feat, but Macdonald was determined. This transcontinental railway made possible the settlement of the west. It was the populating of the entire country which would help to protect the sovereignty of this new country called Canada. Now a word regarding the culture of Canada's first inhabitants or First Nations, as we now refer to them. Many of the geographical names that Canada has today, including the word 'Canada' - meaning 'village', are of Native origin, deep and rich with meaning. These names are spread across this country just as the Native people were and are spread across this country today. If you have the chance to witness the Native or Inuit cultures, I would suggest taking advantage of it. I think you will be surprised and amazed at how their traditions and talents have been passed down generation to generation, despite pop culture's attempt to draw them into the trendy world of today. So, that is my 'Quick Study Session' on Canada, my home. Please note that this was written as I see things and not necessarily as fact. I hope I have not offended anyone or forgotten anything too big. This is, after all, a big country to describe in little words. I hope I was able to capture the character of the many regions and give you a feeling of what it means to be a Canadian. But enough talk, now it is time for you to meet us firsthand. Let's start planning that vacation!! For Alsek River, Yukon Territory - Click Here"